Did you know that your skin loves oatmeal? 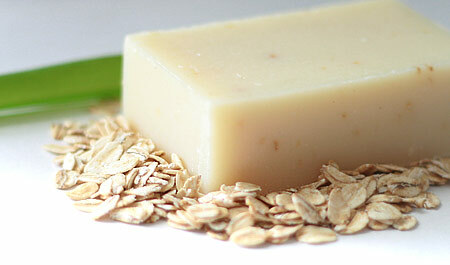 Oatmeal helps naturally moisturize and condition skin, it also has great natural ability to cleanse pores. So not only oatmeal is great for you during breakfast, it is also great for morning showers. Add a little bit if aloe that helps to bring more oxygen to the skin and you can’t imagine stronger natural skin care than Oats and Aloe natural soap bar. This entry was posted in Natural soap, Organic skin care and tagged Natural soap, organic, soap. Bookmark the permalink. Post a comment or leave a trackback: Trackback URL. Great blog! I haven’t bumped on naturalsoapblog.com before in my browsing!